Featuring the work of Alice Springs writer, Michael Giacometti, Cracking the Spine is a deftly curated overview of the contemporary Australian short story, including pieces by ten of the best practitioners at work today. The auto-critical essays that accompany each work gesture even more widely. 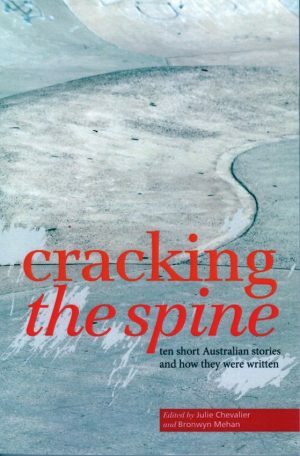 A great resource for the classroom and an inspiring read for anyone interested in how short stories work.